We all like things that are simple. 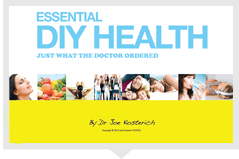 Here are twelve of the simplest ways to be healthy which are easy and are either free or come at absolutely minimal expense. Whilst you will need to make the effort of applying them there is nothing listed here that you are incapable of. Have a big glass of water before each meal. Research shows that people doing this will be far more likely to maintain any weight loss. It also helps your daily water intake. Eat slowly. People who eat quickly are twice as likely to be overweight and those who eat quickly till full, are three times as likely to be overweight. Know your portion size. Many people complain that they eat “healthy” but still struggle with their weight. Measuring portions means you know exactly how much you are eating and what is required to satisfy your hunger. After a few weeks your eye will become a better judge of what your body needs. Leave the table feeling you can eat more. The Japanese believe that you should eat till 80% full. They have the longest life expectancy on the planet so we can learn from them. Park your car in the furthest spot at the shopping centre. Rather than stress about getting a spot near the door, park further away and reduce stress whilst getting a little exercise. Take the stairs. What is called “incidental” activity is nearly as important as formal exercise so taking the stairs instead of the lift is a great way to do this. Do some slow deep breathing each day. This is great for helping manage stress. You can take this one step further by doing some slow deep breathing in the fresh air. Eliminate soft drinks and fruit juices from your diet and replace them with water. Liquid calories comprise 10% of the average calorie intake in Australia and close to 20% in the USA. If you are thirsty the body needs water not sugar. This is the easiest way to cut calories and not feel hungry. Get adequate sleep. For most people this means eight hours per night. People who get enough sleep function better and studies show that you are less likely to eat too much if you have had enough sleep. Regular exercise also helps you sleep better. Minimize foods, which come from a manufacturing “plant” and maximize food, which come from plants that grow in the ground. Do some things standing each day to reduce the amount of time spent sitting. Read the paper standing at the kitchen bench or see if you can stand at your computer. Have fun and laugh. Laughter is good for your hearts health and you cannot feel stressed when you are laughing. If this does not come naturally find things to laugh at. Almost everything has a funny side if you are prepared to look for it. Health is made complex and often we are left feeling like there is nothing we can do that will make a difference. Reality could not be further from this. Your health is predominantly a function of what you do each day. Follow these simple tips and you are well on your way to good health.